Lundin will be cutting 106 positions at the mine in order to “improve competitiveness and productivity.” The news comes after the company confidently revised its copper guidance upwards following its Q3 report. Lundin Mining (TSX:LUN) has confirmed it will be cutting jobs at its Candelaria mine in Chile, the Canadian company’s largest copper operation. As reported by Reuters, Lundin will be cutting 106 positions at the mine in order to “improve competitiveness and productivity,” even after the company confidently revised its copper guidance upwards following its Q3 report. There are currently almost 6,000 employees at the mine located in the Atacama region of northern Chile. The company said that the jobs to go represented less than two percent of the total workforce, and would include voluntary early retirement. “Lundin Mining has created over 1,000 employee and contractor positions at the Candelaria mining complex since acquisition in 2014 and continues to make significant investments to improve and increase productivity at the operation,” said the company in a statement to Reuters. A union leader at Candelaria told local media last week that workers would be going on strike for 48 hours in protest against 40 jobs that were covered by the union there. Any impact the strike may have on production is not known. Lundin acquired an 80-percent stake in Candelaria from American company Freeport-McMoRan (NYSE:FCX) in 2014 for US$1.8 billion. The remaining 20 percent is owned by Japanese conglomerate Sumitomo (TSE:8053). Year-to-date, Candelaria has produced 81,254 tonnes of copper, accounting for over 61 percent of Lundin’s 131,111 production across its four operating copper assets in Chile, the US, Sweden and Portugal. The company is currently working on a mill optimization project, which as of the release of its Q3 report, was 32 percent complete. Output has the company feeling confident about its production guidance, which was revised in the Q3 report from 104,000-109,000 tonnes to 107,000-109,000 tonnes. The mine also accounts for the company’s gold output at 46,000 ounces year-to-date, and a fifth of its silver output at 720,000 ounces. 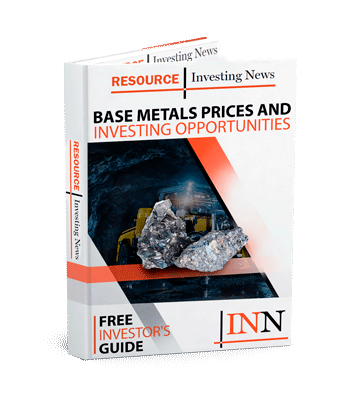 Earlier this month, Lundin had formally announced its attempt to acquire fellow Canadian miner Nevsun Resources (TSX:NSU) had expired, saying that it would return all securities deposited under the C$1.4-billion bid. 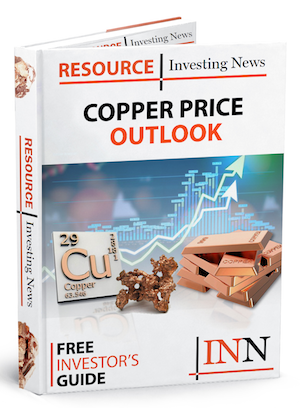 Lundin, which according to its CEO is on the hunt for new copper assets, was outbid for Nevsun and its advanced-stage Timok copper project by Chinese company Zijin (HKEX:2899), which cut in to tango for C$1.86 billion in September. On the Toronto Stock Exchange, Lundin was down by 3.57 percent on Monday (November 19), trading at C$5.4.